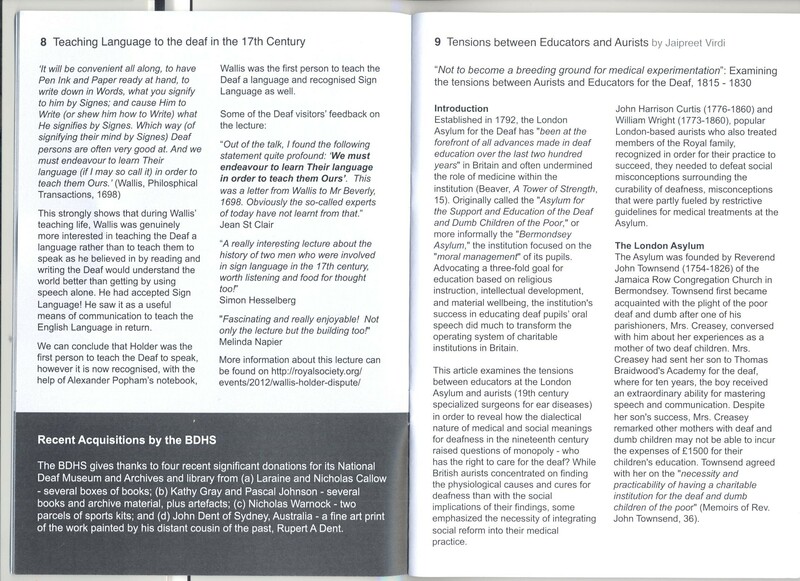 I published a short article in the British Deaf History Society Journal (15.4), based on the presentation that I gave at the Disability & the Victorians Conference. I would like to express my heartfelt thanks to John A. Hay, Peter Jackson, Jill Jones and Lisa Davies for their support and encouragement. As I discussed in the conference, aural surgery is a “dark chapter” in deaf history, but a vital one for understanding how early efforts to “medicalize” the deaf were implemented. 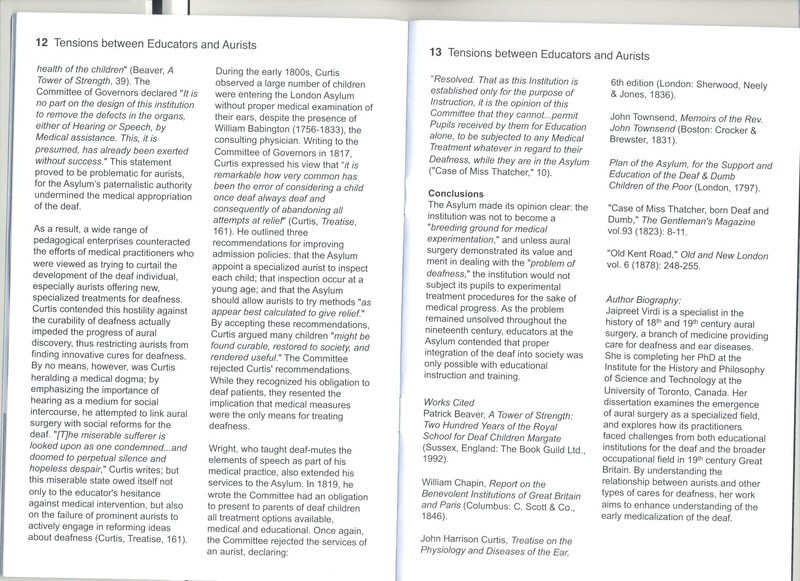 This article is part of a longer dissertation chapter on the conflicts between educators of the deaf and aurists seeking to enforce their surgical authority. 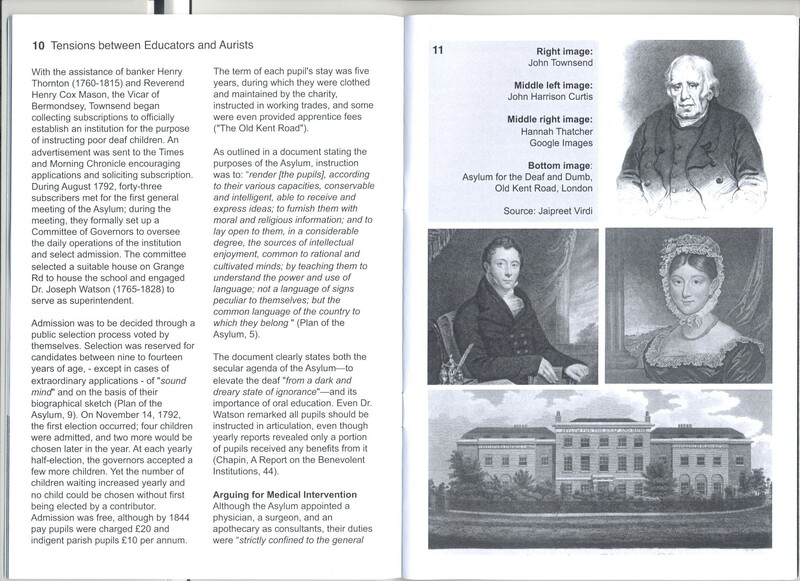 Special thanks to Dominic W.Stiles at the UCL Ear Institute & RNID Libraries for scanning the pages for me as I await my copy of the journal issue! Click images to enlarge. Sorry I was too lazy to convert the images into a pdf.